When you visit a country for the first time you often suddenly become aware that the norms and values you bring with you are not necessarily shared with that society. So what happens when science and journalism interact across socio-cultural or language boundaries? Science communication literature suggests that the relationship between science and journalism has changed over time. Earlier literature found that there is a distance between the two cultures as scientists preferred to talk with their colleagues more than with journalists. Later findings based on surveys conducted in five countries showed that the separation was not as large as suggested because scientists were interacting with journalists much smoothly and frequently than previously thought. More recently, science has become more oriented towards media as expressed in the term ‘medialization’ of science, with increased numbers of professional staff employed at scientific institutions to disseminate their scientific output. However, much research is founded on interactions within a single socio-cultural context. Whether such transitions are happening for science and journalism interactions that cross socio-cultural or language boundaries needs exploration. Studies of how English-language science communication is developing in countries such as Japan, South Korea, and China where English is a second language may provide insights into such interactions between science and journalism. In Japan, modern science communication, the promotion of dialogue between scientists and the lay audience in the Japanese language became popular in the mid-2000s. In contrast, the recent rising need to reach out to a global lay audience in the English language has been fueled by government initiatives to raise the global visibility of Japanese science. In addition, several indices suggest that Japan is losing its position as a science powerhouse. A study showed that compared to the 1990s, the rate of journal publications decreased in Japan in the 2000s. While the number of international collaborative projects are increasing worldwide, scientists in the US, UK, and Germany are collaborating less with Japanese scientists. 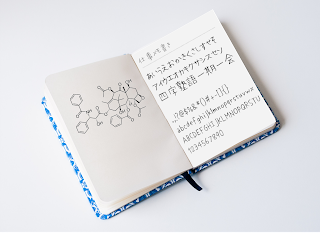 More recent figures show that Japan’s production of scientific papers has continued to decline between 2012 and 2017 and this trend is observable across all major scientific disciplines. To support the research excellence of a select group of Japanese universities and research institutions, the government has launched two, 10-year funding programs (“The Top Global University Project”, “The Program for Promoting the Enhancement of Research Universities”) between 2013 and 2014. In the two programs, English-language science communication is seen as a tool to raise the global visibility of Japanese science, strengthen the research performance and competitiveness of Japanese universities and research institutions, and attract potential collaborators, faculty, and students. Japanese universities and research institutions communicate their science in English predominantly through interactions with international media. To compensate for the lack of experience relating to international media, these organizations have increasingly hired English-speaking science communicators and practitioners. However, the communicators are not necessarily well-versed in the Japanese language nor the university/research institutional culture and these socio-cultural differences cause friction within the organizations. In addition, anecdotal evidence suggests there is a tension between science and journalism; Japanese scientists are less confident in their English language skills and are reluctant to interact with international journalists or do not see the benefits of communicating their science beyond Japan. how the relationship of science and journalism for English-language science communication was unfolding in South Korea and China where English is a second language. We interviewed top research universities or research institutions within each country that frequently made it into the top 100 of world university rankings. In general, all of the organizations were more concerned about communicating their scientific achievements to a domestic audience through national-level and local media. Some universities were interacting with international media, but the motivations came from within the organizations and not from outside, and in some cases from the press officers themselves. For example, one press officer noted that there was no push from the government to reach out to a global audience, but the university saw international reporting of their scientific achievements as leveraging their global visibility and attracting students and faculty from outside the country. Some even mentioned that since most of their funding comes from the government, they are obliged to focus initially on domestic media, and there is no desperate reason for researchers to promote their research globally. Moreover, Singapore and Hong Kong communication officers did not express any concern about interacting with international reporters, whereas South Korean and Chinese communication officers raised concerns pertaining to socio-cultural or language differences. Some communication officers found their scientists less willing to interact with international reporters than with domestic reporters, because of stylistic differences in reporting and the different values placed on maintaining a scientist's reputation. Scientists prefer their science being reported rather than attention being given to their character or personal life as international media commonly do to provide a human angle on a scientific story. Further, several communication officers spoke of the difficulty of discerning which international media or journalists to trust. These communication officers had experienced fraudulent or misleading international reporting based on research that did not exist or based on low-quality translations from the source language to English. Again, this undermined the trust of international media. These findings suggest that medialization of science is unlikely for science and journalism interactions that cross socio-cultural or language boundaries at least in the East Asian countries we visited. Moreover, we believe that the tension between science and journalism across language and socio-cultural borders are due in part to the different socio-cultural expectations between a communication officer or a scientist and an international journalist, as observed in the different reporting styles and values of maintaining reputation. It must be pointed out that our interviews were with communications officers at Asian universities and research institutions and not the scientists themselves. While communications officers at universities and research institutes, as mediators between scientists and journalists, are a suitable proxy for interactions between scientists and journalists, surveys and interviews of Asian scientists will be necessary to get a better understanding of how they perceive their interaction with international journalists and in turn the tension between science and journalism. These studies will help elucidate the cultural factors that influence the science and journalism interactions across language and socio-cultural boundaries, hopefully facilitating the interactions of Asian scientists and communicators with international journalists, and opening new avenues of science communication research. 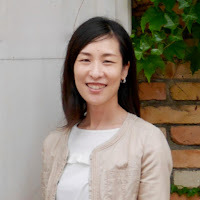 Ayumi Koso is project assistant professor at the National Institutes for the Humanities in Japan and visiting researcher at the National Bioscience Database Center, Japan Science and Technology Agency. She is also the co-organizer of Japan Scicom Forum. Her primary research areas are institution-level science/research communication in Japan and Asia. Ayumi has been exploring science communication in the context of cross-language and socio-cultural boundaries as part of her research project supported by the Watanabe Memorial Foundation for the Advancement of New Technology. 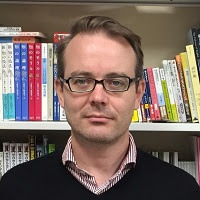 Euan McKay is project assistant professor at the University of Tokyo, where he leads the university's international communications strategy and occasionally teaches on East Asian history and diversity-related topics. He has eight years' experience working in science communications at the University of Tokyo. His recent research focuses on crowdfunding, and on the intersection of science communications and minorities including the participation of sexual minorities in STEM fields. The STAGE Lab is now accepting applications for its fall 2019 fellowships. STAGE – Scientists, Technologists and Artists Generating Exploration – is a laboratory within the University of Chicago’s Institute for Molecular Engineering, in which we create and develop original multimedia theatre work inspired by science and technology. For these fellowships, we’re ideally looking for people with hybrid interests and skills, especially scientists who have had some theatre experience, as well as theatre artists with an interest in science. The deadline for fall 2019 fellowships is January 21, 2019. First interviews are held on a rolling basis; as a general rule, therefore, applications should be submitted as early as possible. Artificial intelligence is about to transform science journalism – here’s how to prepare for it.